So. I’m gonna tell ya a story about an egg. A really little one. Egg, not story. 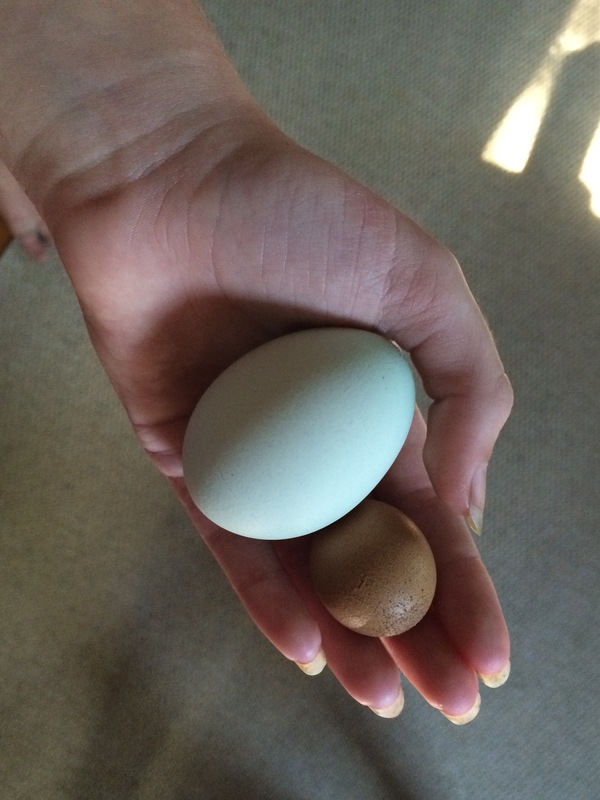 A comparison for you: green egg is what you would consider a typical size for an egg, the size that we will usually get from our full grown hens. This one is from one of our younger chickens, who had recently started laying. And the little one? That’s just the tiniest chickens’ egg in the history of the world. Okay, probably not. But it’s still so TINY! Late July. Lucy finds this egg and, of course, we all go crazy over this egg. Every person who passed through our threshold had to look upon this egg. The problem? Who would eat it?! This egg was so special, no one could agree on who would eat it. I thought I should eat it because I take care of the chickens, cleaning the coop, getting them food and water, letting them out in the morning, and closing them in again at night. Lucy thought she should eat it because she had found it. I thought maybe mom or dad should eat it, because they pay for the food and for the pine shavings for the floor of the coop. And you can only cut an egg that small into pieces so small. After several weeks of this, I was heating a pan to make omelets and decided that it was about time somebody cracked the thing open. Now, eggs, at least natural unprocessed ones, given enough time, will eventually completely dry up on the inside. So that means no nothing inside. You basically just have a hollow shell. 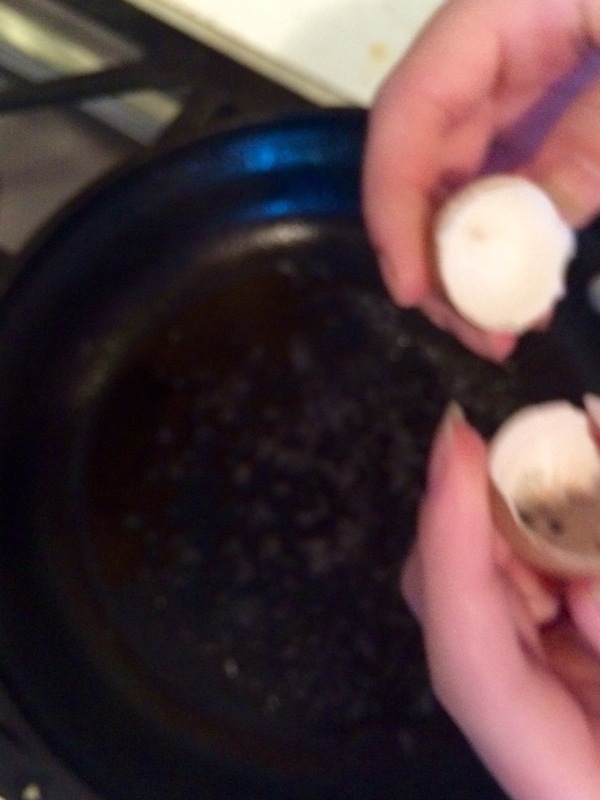 This happens in varying amounts of time, depending on the size of the egg. A goose egg for instance will take a lot longer than, say, a chicken egg. Terrible pic, I know, but you get the idea. No egg!!! So, is that the origin of the phrase, “All dried up”?